Disruption, inspiration, mental health — we’re always asked what the hottest trends, topics, and must-have speakers are and we’ve got the data to back it up! Based on online requests and client conversations, we’ve created a cheat sheet of what’s trending. Tech titan and serial entrepreneur, CBC “Dragon” Michele Romanow knows what it takes to keep up with today’s fast-paced world. She shows companies how to embrace change, encourage disruption, and incentivize innovation in order to stay at the top of their game. Shawn Kanungo operates at the intersection of creativity, business, and technology. Recognized nationally and globally for his work in the innovation space, he shows organizations how to disrupt before they are disrupted. Josh Linkner believes following the status quo is the riskiest move companies can make today. The five-time successful tech entrepreneur and CEO challenges organizations to innovate before their competition does, and shows them how to leverage and benefit from the spirit of creative disruption. Clients and audiences continue to seek keynotes that inspire and motivate us to be our best selves. Below are a few of our top requested speakers who are experts in this area. Bestselling author of The Book of Awesome and The Happiness Equation, Neil Pasricha has secured himself as the go-to happiness expert. With infectious enthusiasm and heartfelt authenticity, Neil draws on the latest research in happiness to increase individual performance and create a more positive and productive workplace. Driven by a desire to help people manage their emotions, Dr. JP Pawliw-Fry focuses his research on the skills and tools needed to build a thriving and healthy workplace culture. Infused with passion, humour, and engaging case studies, JP’s talks challenge groups to think differently about human behavior, emotional intelligence, and how to better perform under pressure. Imagine if you had a secret weapon that helped you beat procrastination while increasing productivity, confidence, and courage? Through her globally acclaimed TEDx talk “The 5 Second Rule”, Mel Robbins has created a life-changing movement that challenges self doubt and accelerates personal and professional growth. Looking for both personal stories and research-based studies, our clients are asking for impactful talks that make a difference in creating more positive, inclusive, and safe spaces. Mark Henick’s story of searching for “the man in the light brown jacket” who saved his life from a teenage suicide attempt captured global attention. He brings a unique perspective to the topic directly informed by his own experience as someone who has been a patient, a professional, and a public figure in the mental health system. A favourite on Royal Canadian Air Farce, Jessica Holmes is a comedic genius devoted to helping others live well. She mixes humour with her message about the importance of de-stressing and laughing at life’s shortcomings, while also sharing insight into her own experiences of dealing with depression, finding work-life balance, and re-igniting passion. 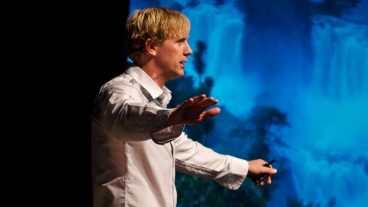 A national ambassador for Bell “Let’s Talk”, Kevin Breel’s TEDx Talk “Confessions of a Depressed Comic” is one of the most watched TED talks ever on mental health. His honest and humourous take on his first-hand experience with depression and his message of ending stigma around mental health resonates with all audiences. An award-winning medical doctor, Dr. Shimi Kang has more than 15 years of clinical experience and extensive research in the science that lies behind motivation and wellness. With an emphasis on mental health, she shows people how to cultivate key 21st century skills, including communication, collaboration, creativity, and more, to flourish both professionally and personally.